Hello! I’m Jon Burtness and I grew up in North Idaho. From a young age, I learned to appreciate the outdoors and everything it has to offer. After moving and spending many years in a large city to pursue my career in mortgage banking, I realized I missed being in the outdoors and the life balance that comes with it. I returned to my true home among family and great friends in 2014. 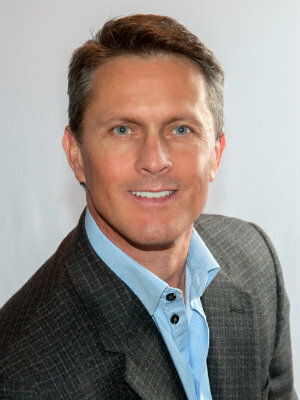 I have worked for more than 18 years in all aspects of the Mortgage and Real Estate industry. From 2001 to 2014, as a Mortgage Banker, and from 2014 to now as a licensed Realtor and Broker in Idaho and Washington. The knowledge and experience on both sides of the transaction, gives my clients a huge advantage. I am able to tie in the real estate process with the loan process and help clients make better decisions, as well as avoid all of the pitfalls so common to the industry. 1. With my experience in the mortgage industry it helps me identify and eliminate any potential red flags before they take place. Red flags can be issues with the loan process, home inspection, or the appraisal, or how the real estate contract is written: will the underwriter accept the way it’s written? 2. When I’m working with Sellers, I question the loan officer that represents the buyers and find out if the Buyers are “Truly” Qualified to buy your home! I can help you avoid being strung out by the lender with those problems. Since I have a good understanding about loan underwriting, I know when something isn’t going to pass the smell test of the underwriters. Before you accept an offer and remove your home from the market, you should be assured that the buyer is qualified! This can prevent the sale from falling out of escrow a month or two later due to completely avoidable circumstances in the mortgage process. 3. As a buyers agent, it is my duty to discover the sellers motivation for selling the home. What about the sellers situation can help my buyer purchase this home? Investigative research! In today's atmosphere, many times there will be multiple offers on a single house and it’s my job to make sure our offer is accepted over another, even if it’s at a lower price!